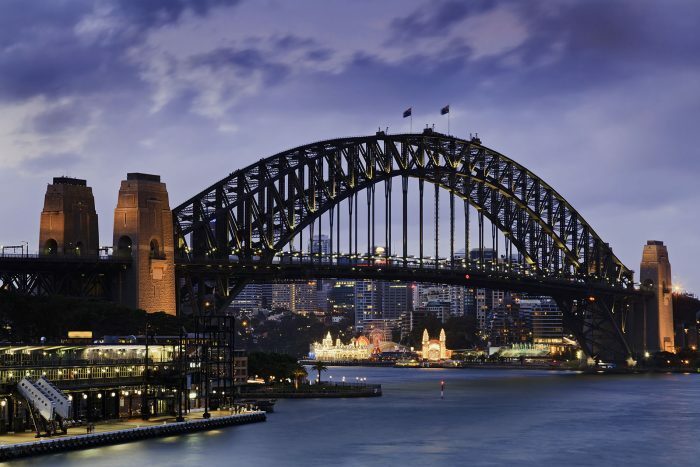 Have you chosen Australia as your honeymoon destination, or are you considering Australia as one of your options? Every year, thousands of newlywed couples make the long flight to Australia to celebrate their marriage in the company of koalas, kangaroos and hot, clean beaches. Here are five ‘Oz’ hotels that are perfect if you want comfort and romance after business and first class flights to Australia. This is an intimate hotel with just 18 rooms, all of which are colourful and individually furnished. Following luxury flights to Sydney you can check in and enjoy your own mini bar, drinks on your private balcony or a restful evening in the courtyard under the stars. The Langham’s classically furnished rooms make it a favourite with couples on their honeymoon, and include the Presidential Suite which is the most exquisite of all. Not only can you enjoy skyline and river views – you’ll also be able to indulge at the spa, relax in the pool or visit the Melba Restaurant for dinner. The Heritage Hotel offers romantic honeymoon packages. They supply champagne and chocolates, offer 24-hour room service and have a heated rooftop swimming pool. Guests can play tennis, dine in style and enjoy the on-site spa and hair salon. If you’re looking for the best honeymoon hotels Cairns has to offer, then you’ll want to consider the Shangri-La. Your suite will have spectacular views of the marina, from your own private balcony, and the opulent Royal Suite is the very best with a marble bathroom and a spacious lounge. Follow your luxury flight to Brisbane by checking in at the stylish Emporium Hotel. Unlike other Australian honeymoon hotels with an emphasis on classic luxury, the Emporium is sleek and contemporary with a more relaxed atmosphere. Honeymooning couples can fill their days by relaxing at the pool, sipping cocktails at the bar, enjoying a romantic evening in a room decorated with candles and rose petals or going on a luxury picnic at the wheel of a convertible Lexus, provided by the hotel as part of their Lexus Lazy Afternoon package.